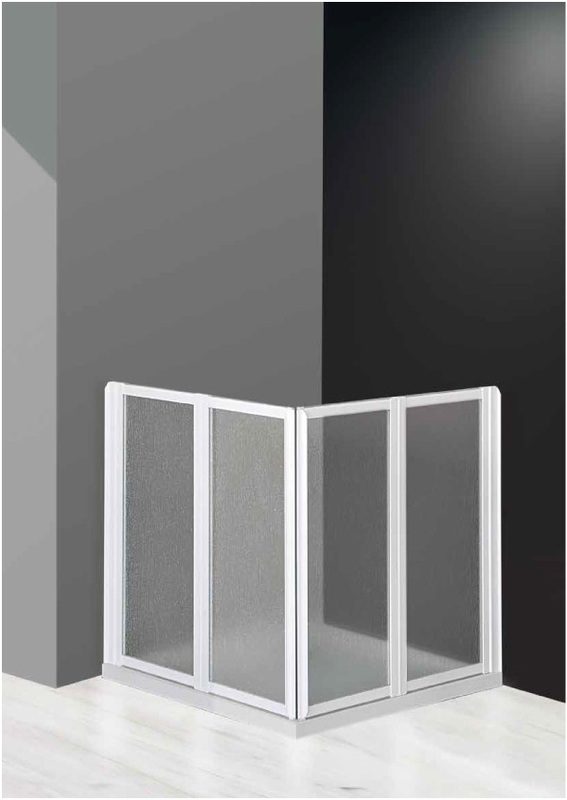 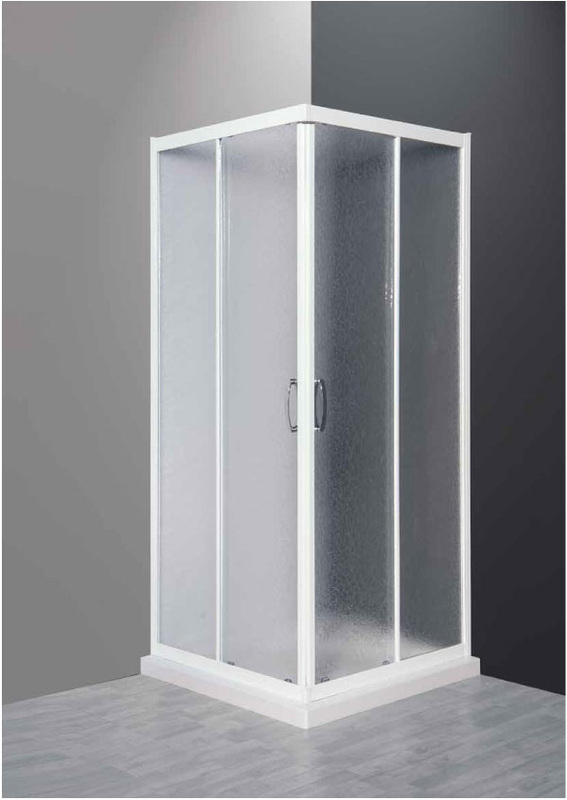 In all versions of corner shower cubicle with magnetic closure that we present, the opening (located in the corner) is achieved by sliding the two sides on ball bearings or by lifting the wing. 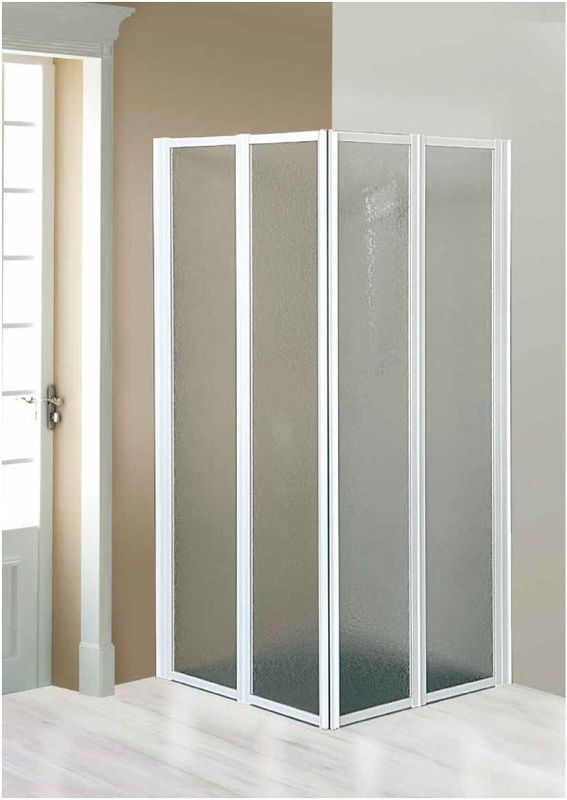 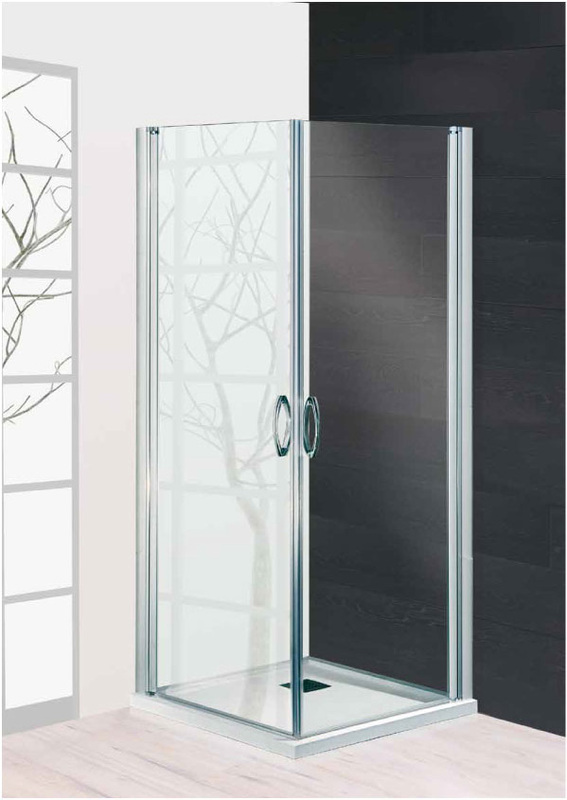 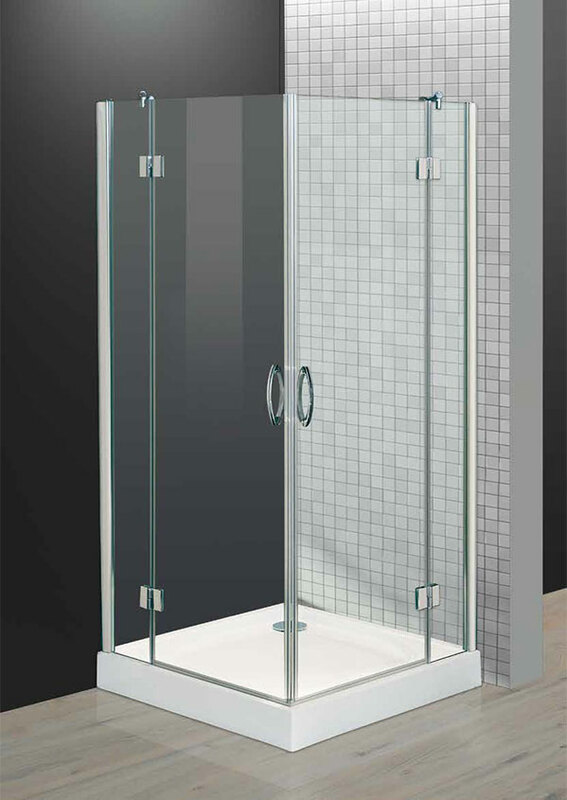 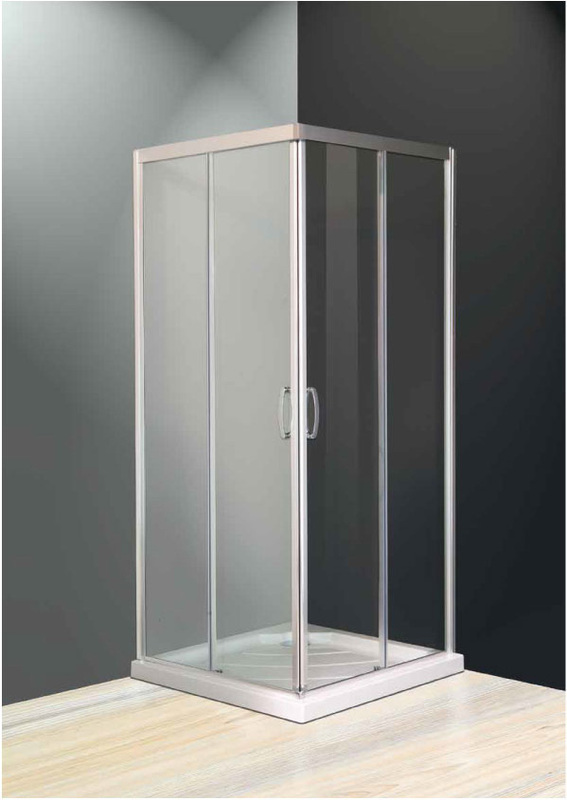 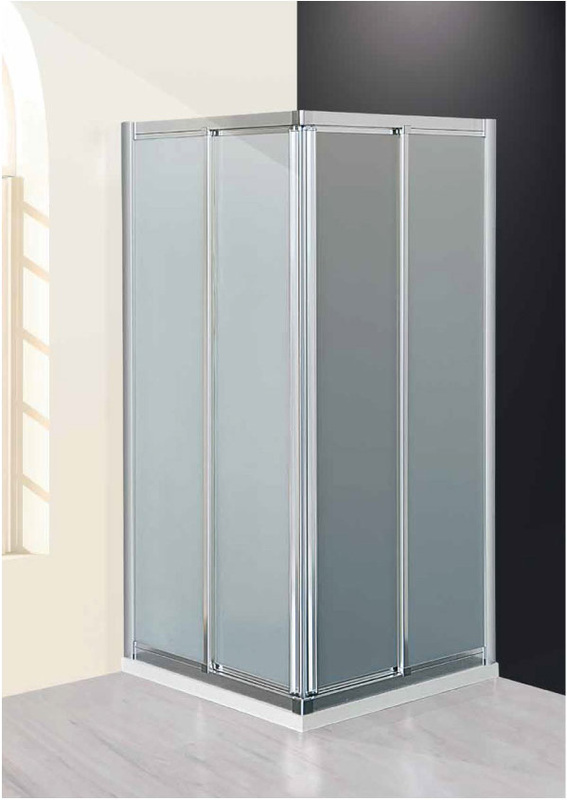 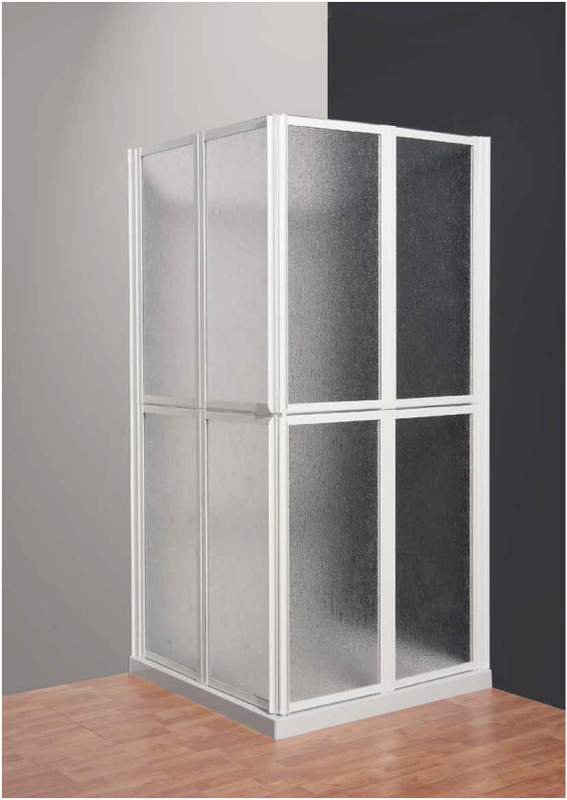 Corner shower enclosures are reversible and extendable only by compensation profiles (also suitable for the walls angles). 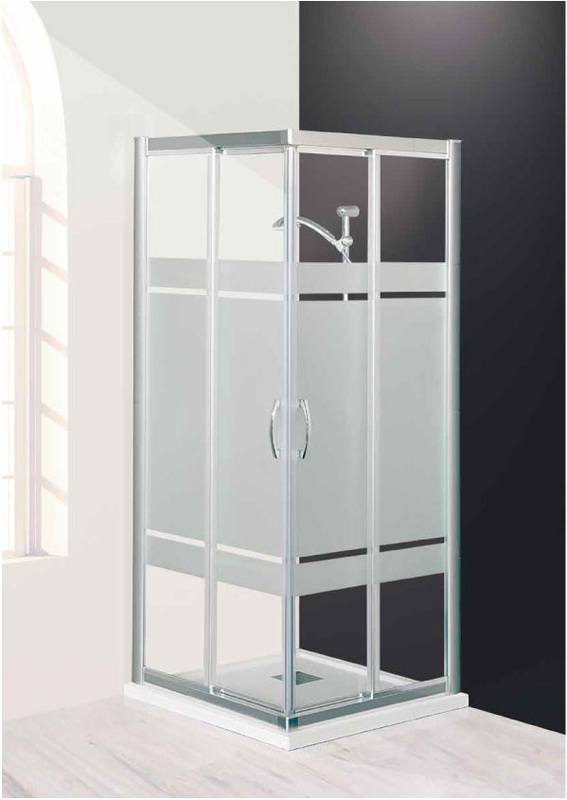 The enameling of aluminum frame is made with special powders and assembled with stainless steel screws. 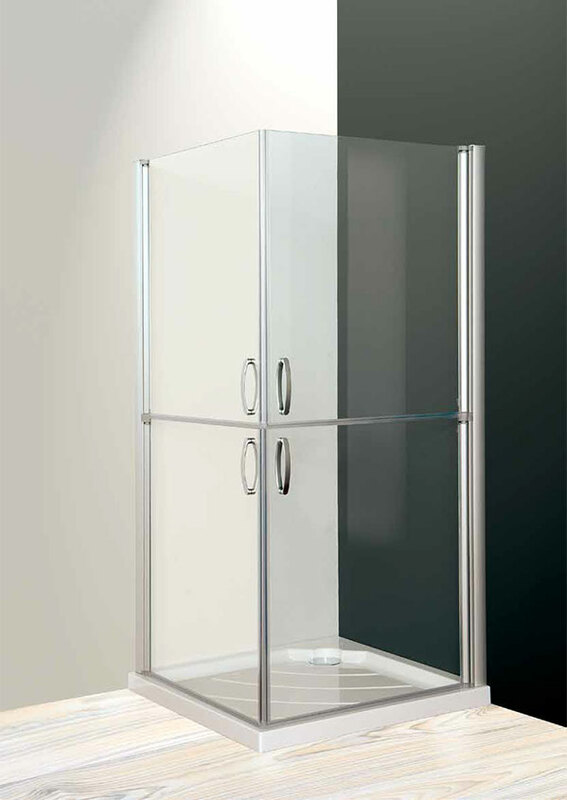 In all version, the slabs are smoothed inside and the glasses are tempered dealing with European standard.